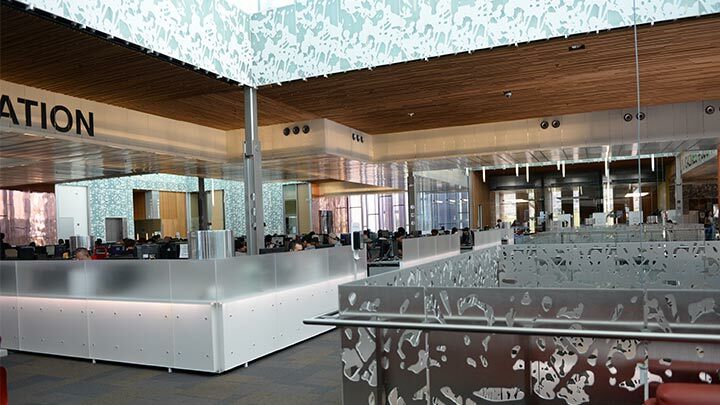 Our library has won many awards for its innovative design—see for yourself! Students at South Mountain Community College have access to one of the best and most unique learning resources available at any community college in the southwest: the South Mountain Community Library (SMCL). This beautiful, award-winning facility stands proudly at the entrance to the college, at 7050 S. 24th Street in Phoenix. It was opened in 2011 and serves as both a college library and a branch of the Phoenix Public Library, the city’s largest branch library. On its two floors, the Library features thousands of books and publications, as well as more than 100 public use computers for students and community members. Ten study rooms, which can be reserved at no cost for groups up to eight, are also available. Larger meeting rooms for programs and events may also be reserved and rented. 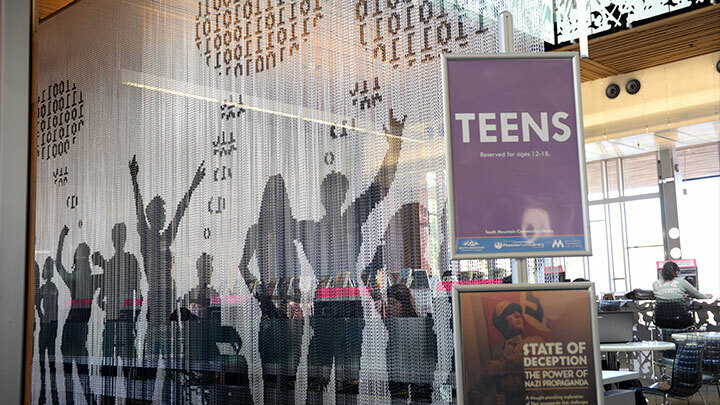 The Library also features separate areas for teens and children, with special programming regularly scheduled for these age groups. And the Library’s popular “Cyber Cafe” offers a variety of drinks and snacks for hungry patrons. 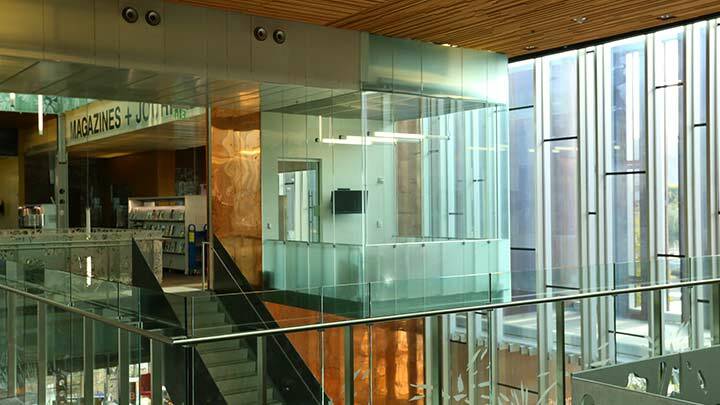 Use the links above to access more information about the South Mountain Community Library.